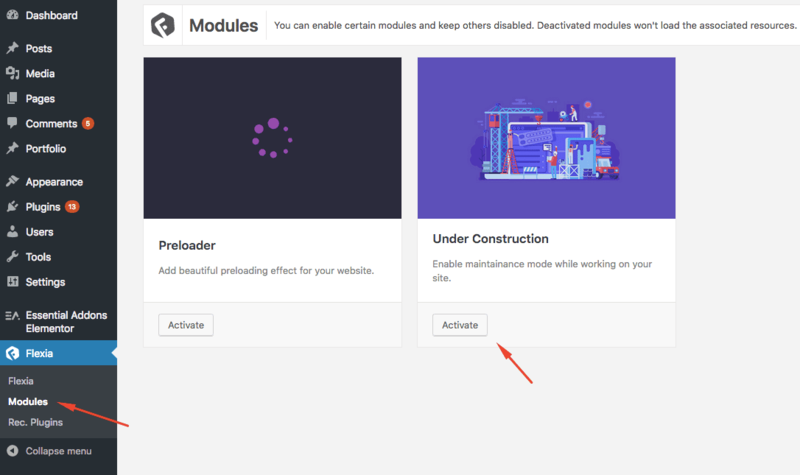 You can put your site to under maintenance mode when you are developing your site and don’t want people to see the unfinished site. It’s also helpful if you need to put it under maintenance for a while when something is broken or needs an upgrade. 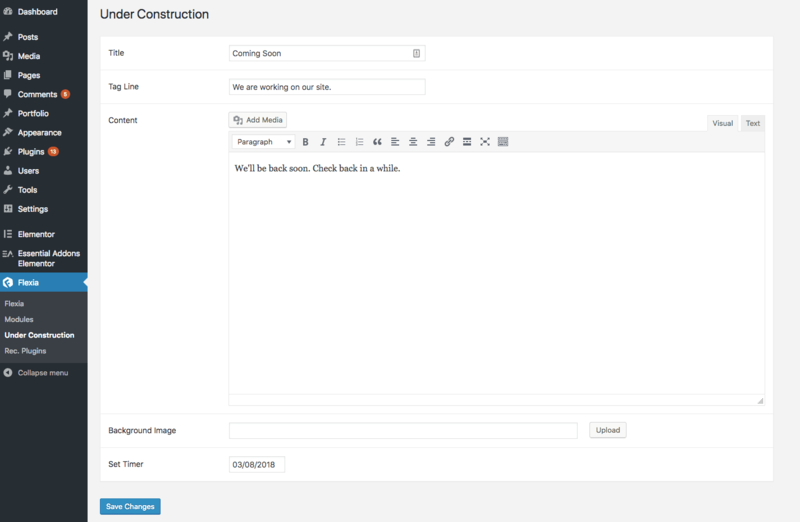 You can set the title, tagline, description, background image and set the launching date to get beautiful cowntdown.